Are there men all around you yet it’s like they don’t even see you? It’s like they look past you without ever noticing? My client Rosalie was like that when she started working with me. She was around men all the time in her office, when she went out with girlfriends, and when she was out running on the beach and yet, she felt invisible to them. She was an attractive woman. It was so frustrating because she hadn’t been asked out on a date in years. When I asked her about her opinion of men, she spewed out a list of terrible traits that she had experienced with men starting with her dad who was a domineering, demanding man who had little respect for women. As we worked together I showed her how change her beliefs and it wasn’t long before she attracted a wonderful man who is a treasure in her life. They have been growing their relationship for a little over a year. She’s not interested in marriage now because of her work, but she loves having an adoring man that she can share her life with. What do you believe about men? Do you respect and admire them? Or are you carrying emotional scars from past relationships that impact your beliefs? 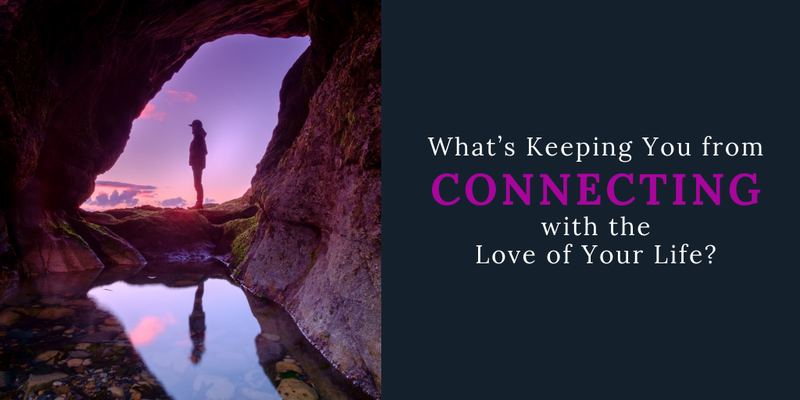 Negative beliefs about men stop you from having that special connection – the sparks of the unseen sensation – often called chemistry – between you and the Right Man for YOU! When you believe that all guys are dogs or pigs or jerks, your energy (or attitude) from this belief will attract that the man you don’t want! And it’s not going to bring you the man you want to marry. What do you believe about marriage and being in a committed relationship? Do you make jokes about marriage being a prison or do you feel that it means being trapped in misery? Do you know anyone who has a really happy marriage? Do you feel betrayed when your friends who you thought had a great relationship get divorced? Attracting the Love of Your Life, requires you to examine your beliefs about men and your beliefs about marriage. You must change those beliefs to be in alignment with what you want to experience with your life-long mate. Want a great guy in your life? You need to value and appreciate men. Want a great marriage? You need to value and honor marriage. Click here to get my How to Change Your Beliefs about Men and Marriage exercise. GET YOUR HOW TO CHANGE YOUR BELIEFS EXERCISE! In this exercise you will discover the essential first step in the process for changing your beliefs so that you can attract the Right Man for YOU and have the right foundation for building a loving relationship where the chemistry lasts a lifetime. Let yourself have the experience of changing your beliefs about men and marriage. Soon you’ll be connecting with the Love of Your Life.